Have you ever been in a conversation with someone when they tell you something their interest, skills, or background that you wish you’d known earlier because you suddenly realize there was a missed opportunity? Maybe they could have helped you solve a problem, or you could have introduced them to someone with similar interests. That happens in our personal and professional lives more than it should. So we thought it’d be a good idea to let you know some other ways we might be able to help you. There are some services we offer that most people don’t know about, but at one time or another they probably wish they’d known about it. To prevent that from happening, we put together a short list of items that you probably have around your house and chances are at least a couple of them could us a good cleaning. Standard white napkins and tablecloths can usually handle a simple wash in your machine at home. But if you set out napkins with delicate designs and lace over tablecloths, you might not want to risk beating up those items in a spin cycle. In most cases these rugs have designs and colors that hide stains pretty well. But they also tend to get a lot of traffic and take some abuse. Getting these out from under couches and tables should be the hardest part of cleaning these items. Leave the rest to us. There’s a lot of debate about the ethics of buying and wearing fur coats, but that’s for a different conversation. The point is that these items are often very, very expensive. It’s also common for people to inherit these items from family members who bought them during an era when fur coats were more socially acceptable. In either case, cleaning these pieces is best left to a professional. This might seem like an easy item to clean at home. If it’s 100% cotton and doesn’t have rubber or some non-slip material then it might be ok to put it in your washing machine. Refers to any labels for guidance. But rubber and other non slip bottoms can fall apart, crumble, and even clog pumps because sometimes they don’t hold up well in the wash, and especially when exposed to heat in a dryer. A lot of people get unnecessarily frustrated when trying to clean these items. They do so because some of these items big and hard to handle, or they’re delicate and get accidentally ruined in the washing machine. By all means, feel free to give it a shot on your own. But we also know that most people are super busy and don’t have the time to handle every little task on their own. So, we’re here if you need us and happy to help you check a few more things off your to-do list. Suede is a leather product with a uniquely soft texture. Traditionally, it was a scraping or sanding process done to the underside of the hide that created this finish. It’s this treatment to the inner skin of the hide that makes suede different from other leather products that are made from the tanned outer layers of a hide. It’s not always easy to spot fake suedes. Clothing companies often use synthetic fibers that imitate the qualities of suede, as well as natural fibers like cotton that are conditioned or brushed to mimic a suede finish. And they’re getting really good at it. When in doubt, check the label. The two biggest reasons why it’s so hard to keep suede clean are because of the texture and porous qualities of the material. Tanned leather products do a much better job of repelling dirt, water, and other damaging agents. 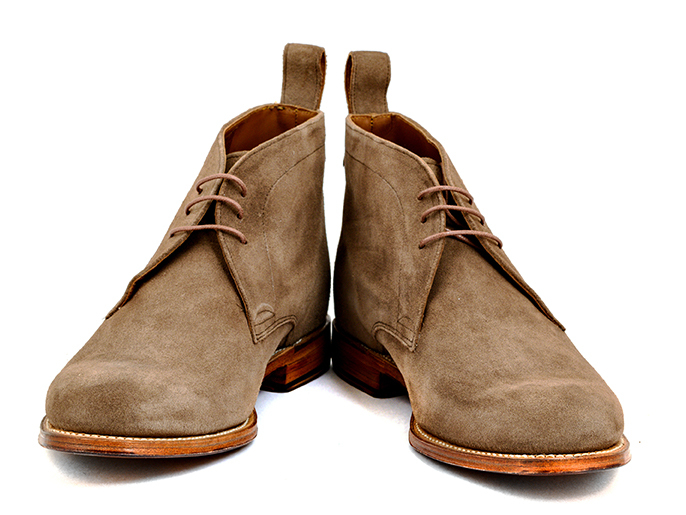 But the texture of suede acts like a micro-mop that collects dirt and grime like a magnet. The porous quality of suede also makes it vulnerable to damage from water and other fluids. One of the first things a salesperson will do when you buy a suede product from them is to try to upsell one of their suede treatment kits. The benefits of these kits is that some of them do help protect against moisture and make removing stains less of a pain in the event get something on the fabric. But there are also lots of products that overpromise and don’t do much more than expose you to nasty chemicals when you apply them. It’d be impossible to review even a small sample of suede cleaners and protectors in this short post. Our advice is to check out reviews of products on sites like Amazon. It’s also a good idea to contact smaller manufacturers directly and ask them what products they recommend. Smaller companies can be really responsive to these kinds of requests, so it’s worth a shot. It’s common for people to come to us with stains that they tried to treat themselves only to make things worse. Sometimes it’s a good idea to bring these items to a professional cleaner, especially if it’s an expensive item. We deal with these kinds of issues all the time, so there’s less guesswork as to which product to apply for the best results. Feel free to call us if you have any questions or if you just want some advice. We’ll do whatever we can to help you out. Dust, dirt, pollen and all kinds of allergens collect on items around the house, and most of the time you get get by with dusting and vacuuming. But you can easily destroy expensive décor if you’re not careful. Here’s a helpful guide so you know the best way keep your house clean and still protect your investment in these valuable items. You might only buy drapes once every 10 years or so, but they’re often an expensive purchase and worth protecting. Drapes collect a lot of dust and pollutants because they’re located near open windows and don’t move around much. A quick shake might knock off a little dust, but drapes are usually made out of delicate fabrics that can fray when rough vacuum bristles are used on them. The safest way to clean them is to simply take them down and drop them off at the cleaners once every six months. 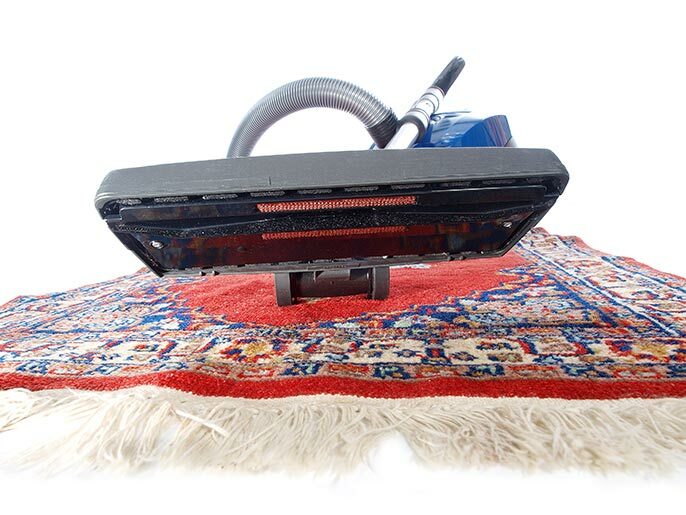 Rugs are lot more durable and many of them can withstand vacuuming and machine washing at home. However, always check the labels if they’re still attached and be careful when using heavy cleaners or other spot removers. When trying to remove a spot, make sure you don’t rub so hard that the fibers don’t become loose or separate. And if you use half the bottle and still can’t get it out, just drop it off and let us take care of the rest. How often you should bring them in depends on the amount of traffic they get. Twice a year is a good rule of thumb for rugs that get minimal traffic. Other pieces will require more frequent cleaning. We’ve already mentioned it a couple times, but when in doubt, check the tag. 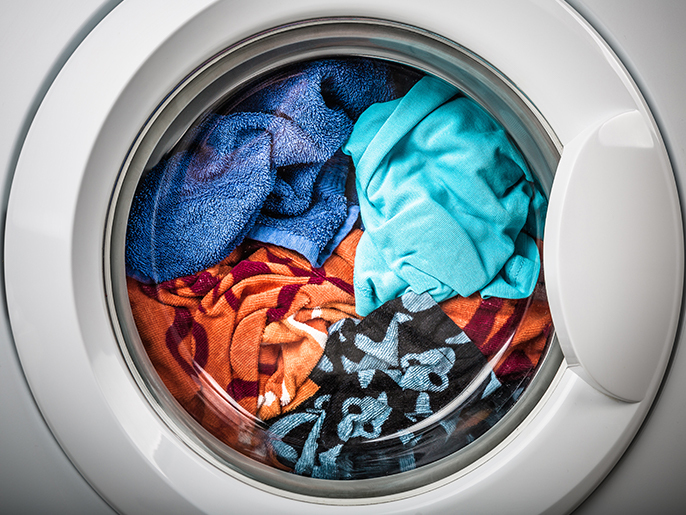 If you ‘re worried about about accidentally ruining something in the washing machine or unsure how to get out a nasty stain, just give us a call and we’ll help you figure out the best way to clean it. We have a little gift for you, and there’s a good chance that it’ll save you a great deal of money. Starting next week, we’ll bundle up little tips on how to take better care of your clothes and other important items. Now, you’ve probably spent thousands of dollars on clothes, shoes and accessories. And I bet you’ve also spent a hefty sum on things like handbags, comforters, and tablecloths. So it’s a good idea to take small, simple steps to protect your investment and get the longest life possible out of these items. We handle these goods every day. The come to us in all different styles, cuts and fabrics. So we’re familiar with all the ways people stain, soil, and outright destroy their belongings. Sometimes people are just careless. Sometimes the spill was just an accident. But too often people make needless mistakes that cost them dearly, just because they don’t know any better. So we’d like to lend a hand with these brief, helpful posts. We know that with proper care you can handle off classic wares to the next generation. At the very least, it’d be nice to make sure your items outlast the trends. 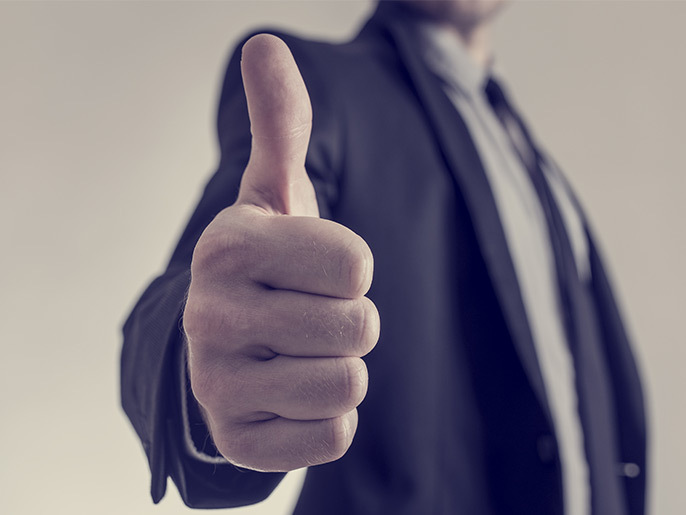 It’s our way of saying “Thanks!” for choosing us for your dry cleaning needs.